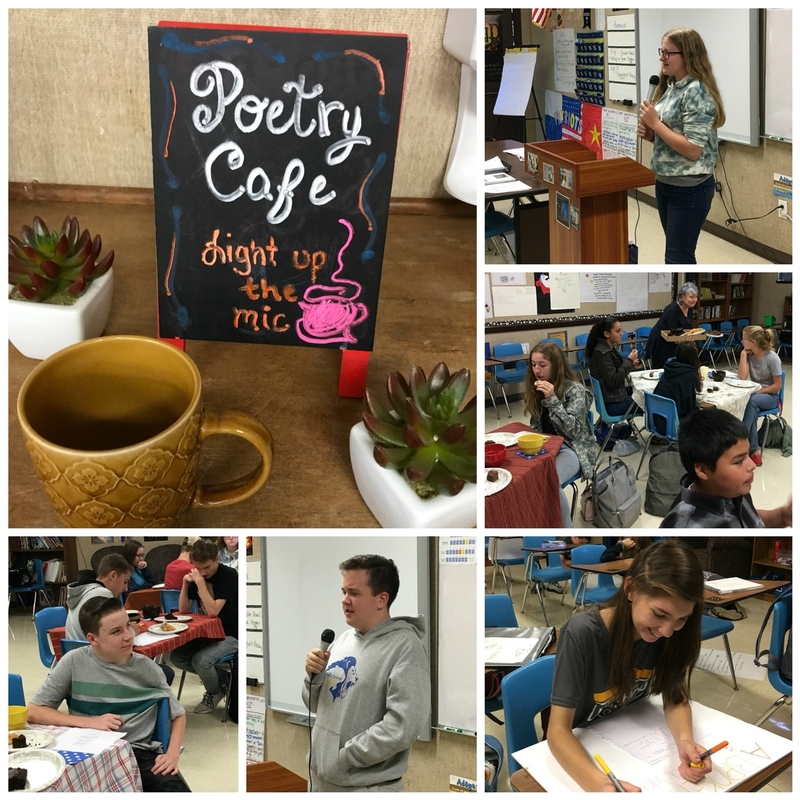 The freshman class has been studying poetry for the last 6 weeks and ended their unit with a Poetry Cafe! Students were greeted with cafe jazz and coffee or tea and baked goods to enjoy their candlelight dining and poetry experience. Once all were settled in they enjoyed original metaphor poems written by fellow students along with golden shovel poems - another type of poem that involves creating their own original work out of another piece of poetry and their own words combined. Several students will be entering their poems in a national poetry contest as well as performing in the local Yuba-Sutter poetry out loud contest.